After almost four months of continuous building, fixing and improving though three beta releases the final version of Mobiscroll 4 is here. I am going to walk through everything that is new since Mobiscroll 3.2.6. If you are interested in only the changes from beta-3 to final, you can take a look at the release notes. 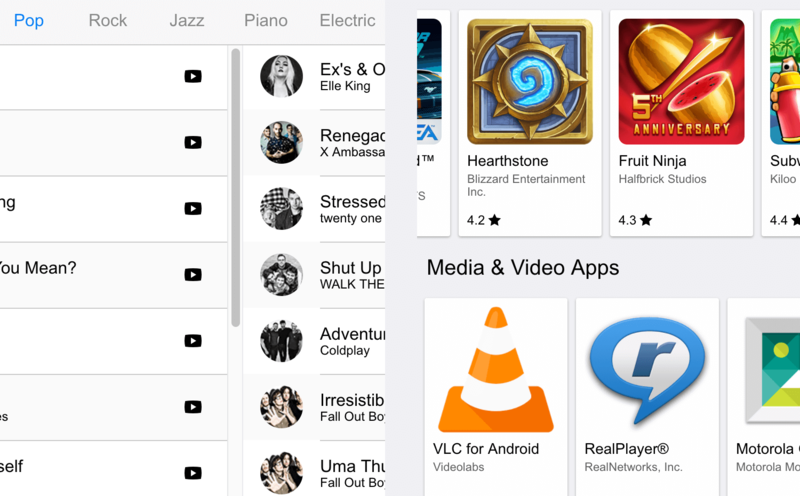 There are seven new components that have been added to Mobiscroll. Some of it is re-imagined and based on older functionality and some of it is brand new. 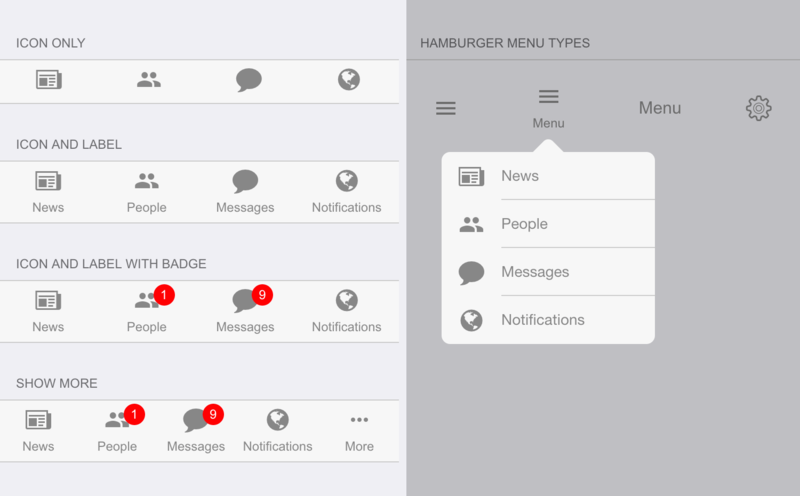 The component supports three navigation patterns: Tabs, Bottom navigation and Hamburger menus. 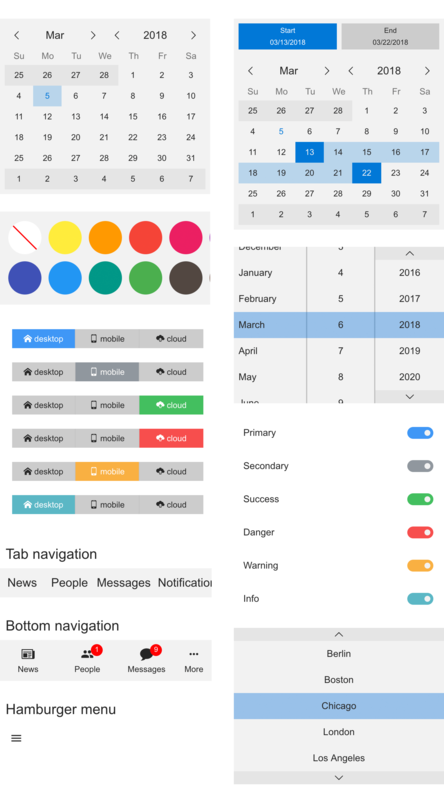 Use it with icons, labels or a combination in both mobile apps and on the web. 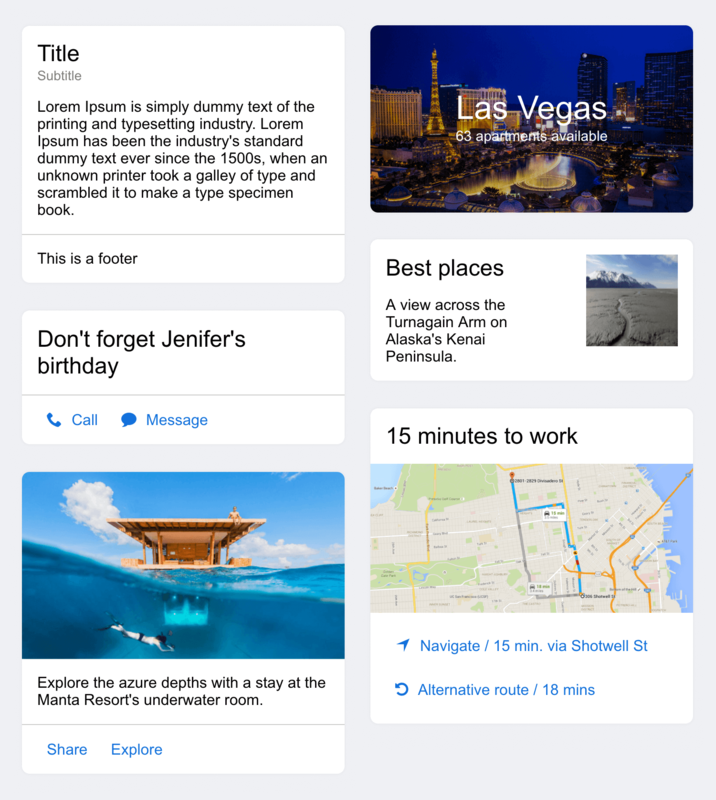 Give the navigation component a try, download and use the demos. The option list replaces the old menustrip component and comes with a more focused API to render scrollable, single and multiple select option menus. It supports the usage of labels and icons. See the option list in action on the demo page. A new component to help you create horizontally scrollable layouts. Buried deep in scroller core functionality we have exposed a simple API for easily putting together views where users can navigate content by swiping. Check out the scroll view demos. Render cards and card collections with variable content and combine it with the list-view and scroll-view to provide a rich user experience. Composed of header, body and footer, use it with virtually any content. For interactive examples head on over to the demo page. Use it to provide inline feedback and inform users. The component supports multiple color presets. Check out the demo page for examples. Use CSS classes to render inline, full-width, thumbnail and avatar images with support for videos. See examples on the demo page. The new control is part of Mobiscroll Forms and it was introduced after the removal of the old scroller version. Use the rating control to capture star rating. Font icons and color presets are supported. 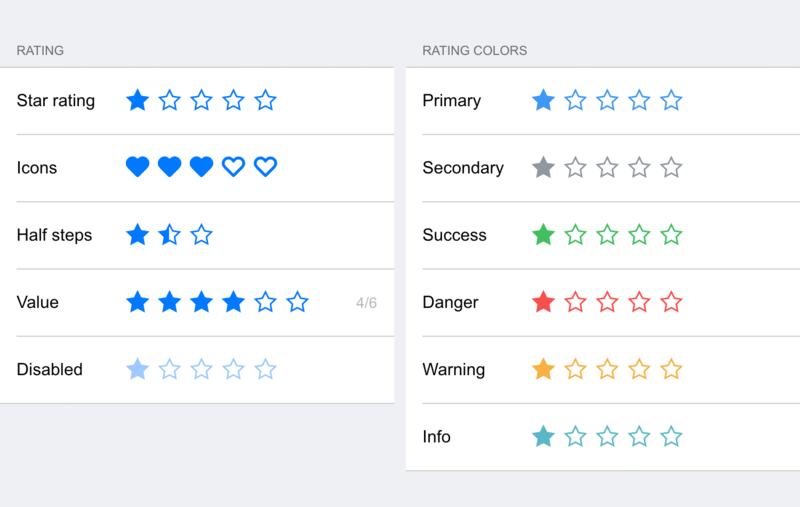 Check out this demo for the rating component. Besides the new components, new features were added to the existing toolset. 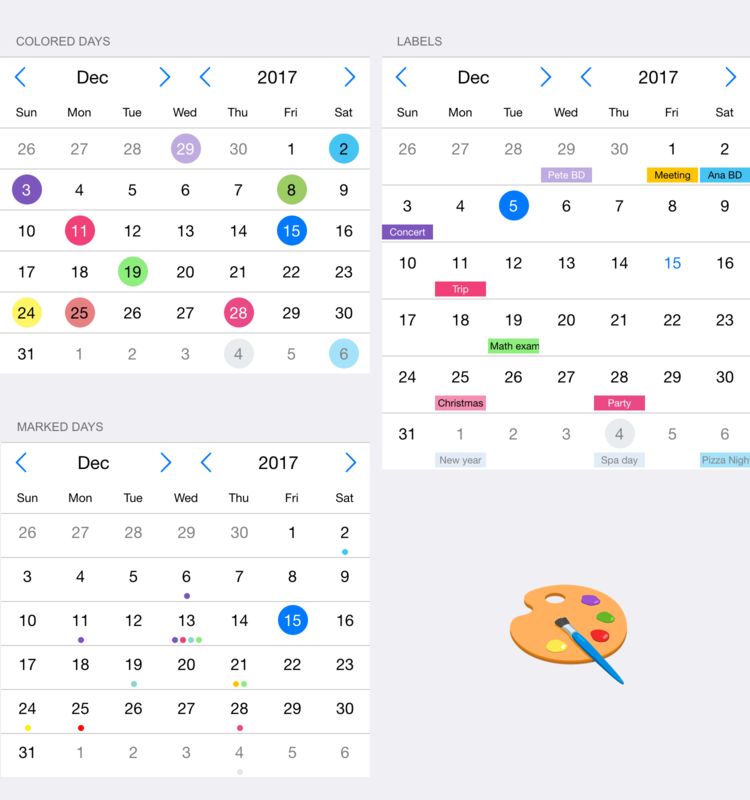 Colored backgrounds, marked days and colored labels are now supported by the calendar components. There are three settings at your disposal for adding that extra information. All three settings support exact dates, recurring days and date ranges. Use colors to spice up your calendar. 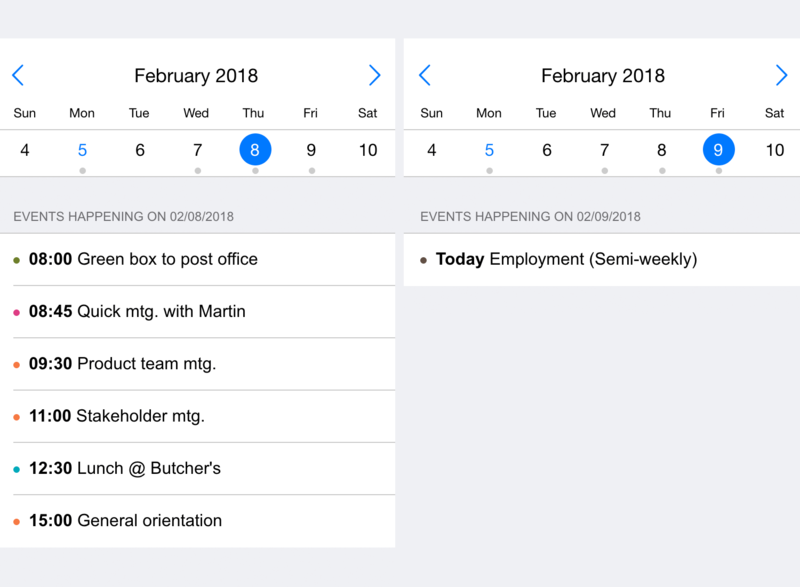 Week view was added for the calendar based components. 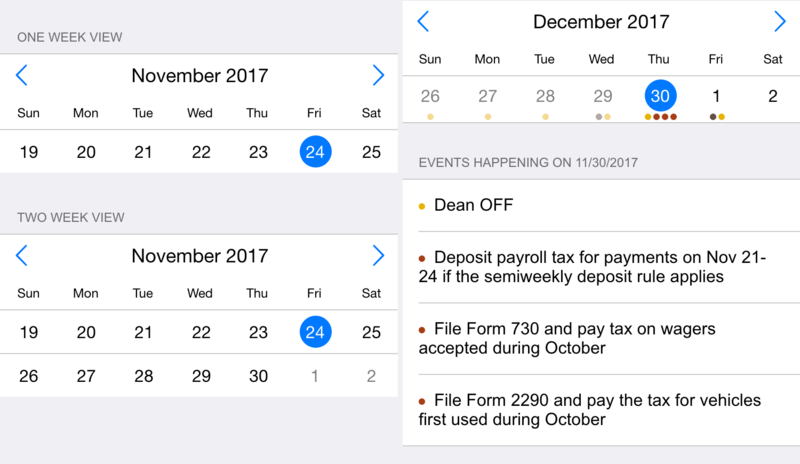 You can now set the number of weeks for the calendar and fit it into smaller spaces. Take a look and see for yourself in this demo. 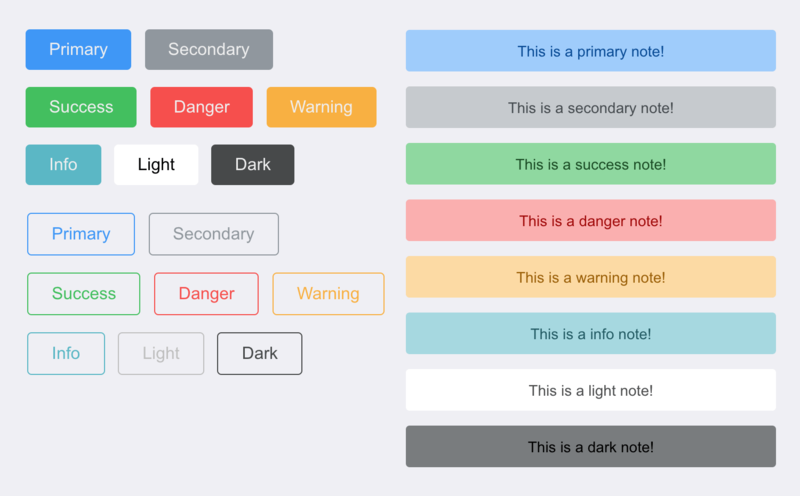 New color swatches were added to form elements, like buttons, notes, radio, switch, checkbox and so on. Use the new colors and get the same consistent output across your views. The event calendar received welcome features including all-day events. This represents a first step to an improved calendar control for listing events, todos. We’ve rebuilt the Windows theme. It was not touched since the release of Windows Phone 8, so it was time. Check out how the old and new components look with the Windows theme. Besides the new components and features, welcome product updates were shipped to several controls. The calendar components were completely rewritten with attention to modularity and performance. Since the initial calendar release we’ve added several components on top of the existing architecture and things started to crumble. In order to keep the code healthy a rewrite was needed. 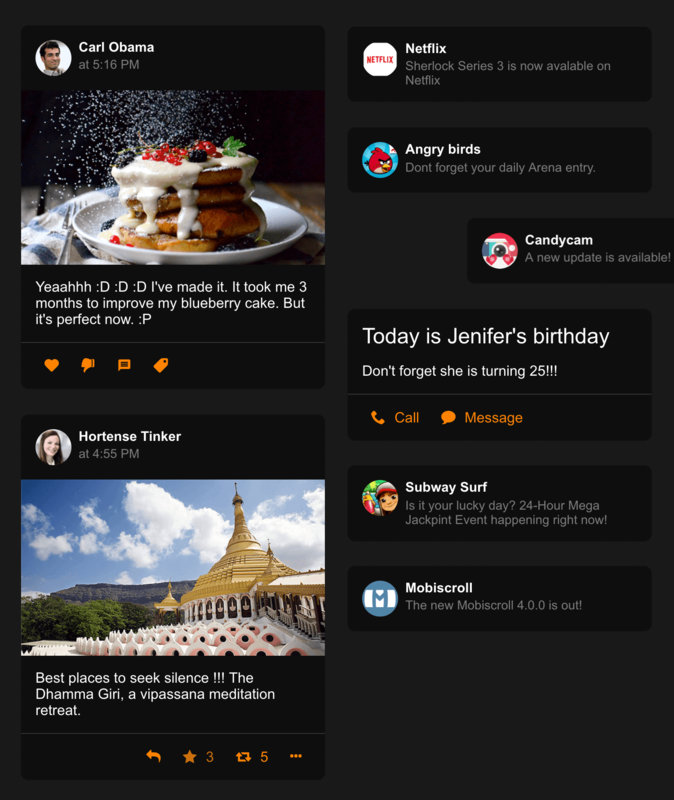 Accessibility and keyboard navigation was improved among others. Hierarchies in listviews are supported across all frameworks and mobiscroll distributions. 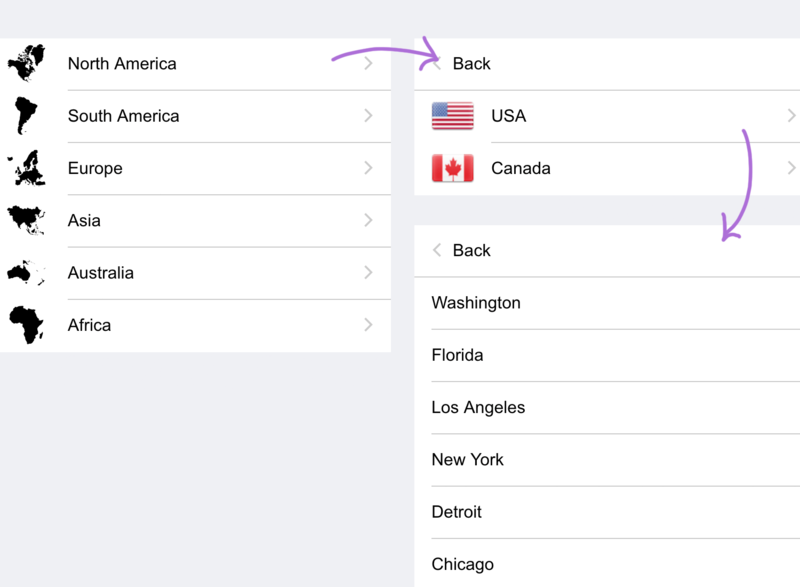 Navigation in the hierarchy and back button support is built-in. See the demo here. 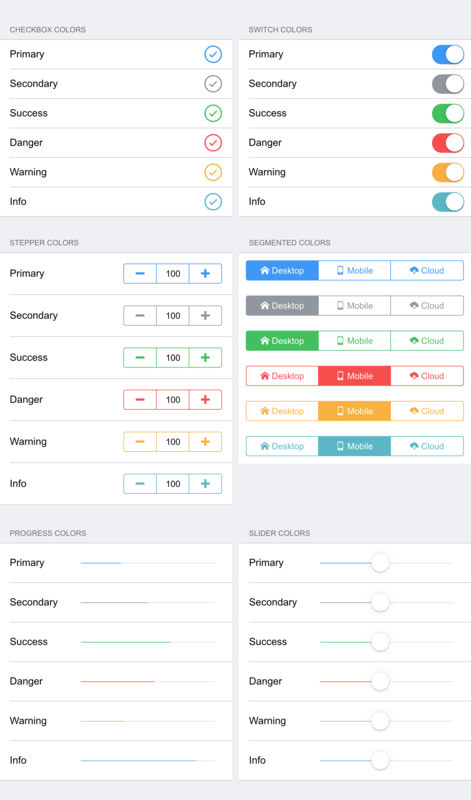 All controls have been released as Angular components for usage with Angular 2+ and Ionic 2+. Besides the components the directives are still available so that you can use them on any type of input may it be a native field, custom control or ion-input. All Form elements were released as React components making usage easier than ever. Give it a try and see the updated examples on the demo page. Upgrading from Mobiscroll 3 should be much easier than it was to move from Mobiscroll 2. For instructions please follow the upgrade guide and let us know if you have any trouble. Download Mobiscroll 4 today. 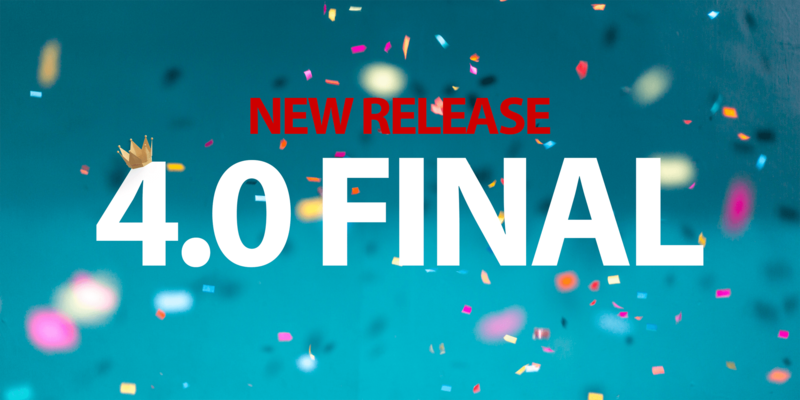 This new major release is available for anyone with an active maintenance for free. No new license purchase is needed. If your maintenance is expired, you can renew from your account. For the full changelog please see the release notes.